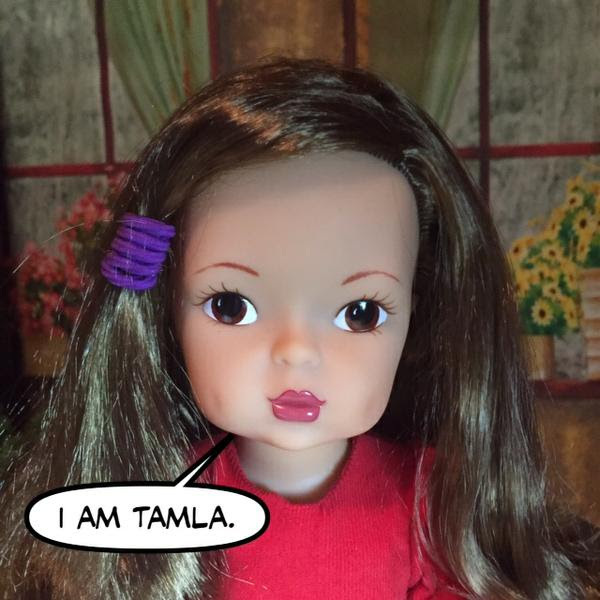 And our new Hiya Dolly Facebook Fan Page! Most of my time this week was spent adding Disqus comment codes to the Hiya Dolly site...we are on the brink of success! Add comments to the blog post! Thanks! This week, I explored puppets with my Constructive Criticism Director. We researched hand puppets but especially marionettes. 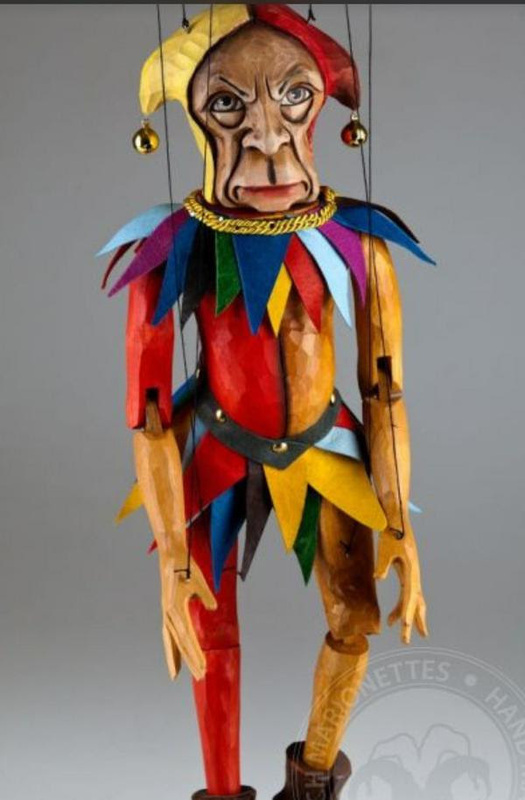 Marionettes, basically puppets on strings or wires, have been around for a long time, at least as far back as 2000 BC. in Egypt, Greece, Italy, and others. They are made with a lot of different materials. We saw marionettes of all sizes, made out of cloths, woods, resins, and clays. We watched videos of marionettists with their puppets, amusing crowds on streets and in theatres on elaborate stages. Did you know there are full length ballets and operas enacted by casts of elaborately dressed puppets? Just looking at them, the ideas for stories start flooding in. They look like they would fit right in here in Dolltown. We want one. Or more. I'll get him one for Christmas. Now, should I choose the jester? the witch? the ship's captain? The girls are changing from the cute jumpers made by Kalen at kalendesignson eBay, to some festive clothes for a special Christmas photo shoot. We have some great doll dressmakers to talk about this next week! So be sure to visit Hiya Dolly to check the links for jumpers, Christmas smocked dresses, cozy tights, and knit dresses! Click here to see Hiya Dolly's fun dolly book about letter sounds. 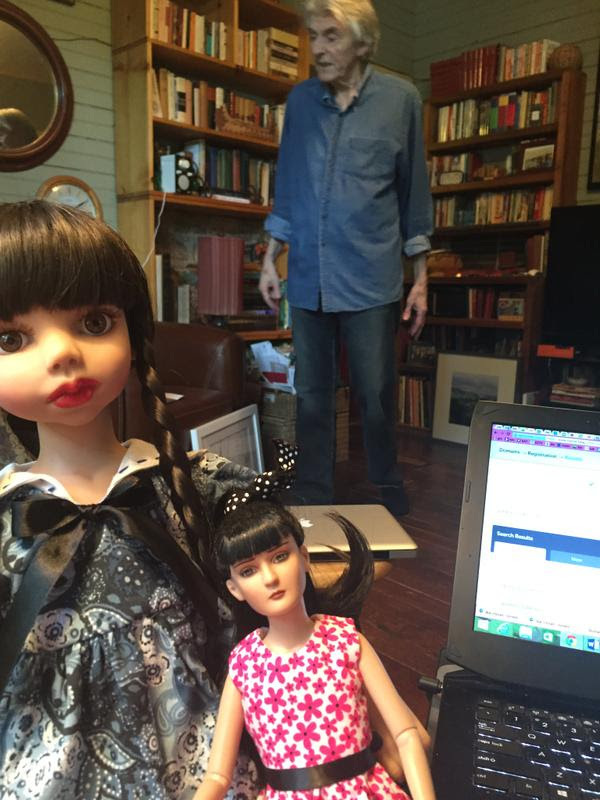 Here's our Director of Constructive Criticism himself, wondering what to do with the dolls that sneak into the house and take over the chairs. Dolltown is set in a corner of The Garden. 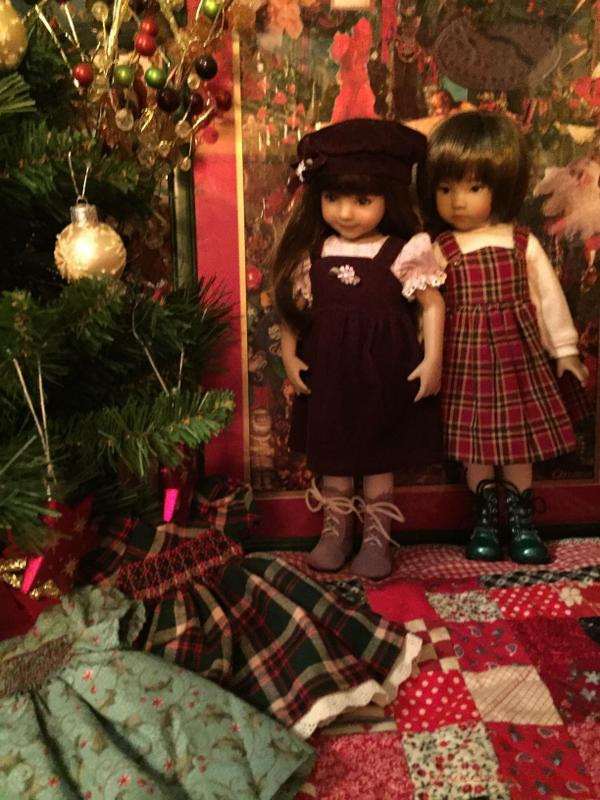 But there is a constant stream of dolls going back and forth to the house, for clothing changes, informal photo shoots, social events, TV watching, and overnighters. His constructive criticism has...softened slightly. His tone of voice, when talking about us, is...warmer. I even heard the two of them talking, collaboratively, about puppets. What? A real marionette in Dolltown? I'd kind of like that ship's captain myself. Quite dashing! Thanks to my loyal email subscribers!